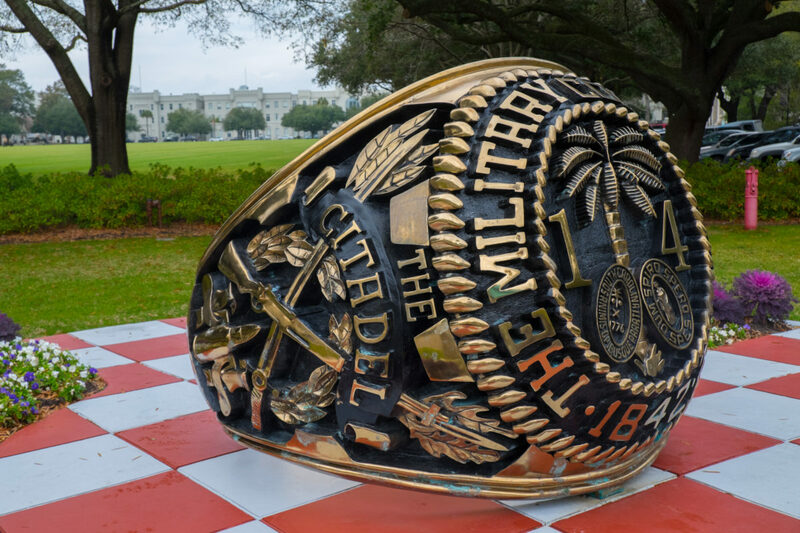 This weekend is the time the seniors at The Citadel get their rings. 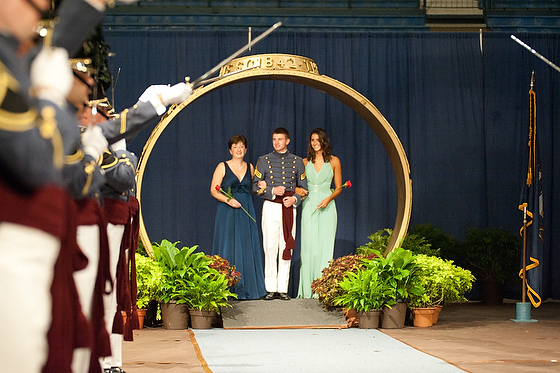 Most cadets go through the ring with their parent and date. Here my wife is going through the ring with my step-son and his date. I can tell you that you are better off shooting without your on the camera flash. You are just too far away for it to really make a difference. You need a camera with and ISO of 6400 or higher to really get a good sharp photo. You may want a lens that covers 50mm to 200mm if you stand down on the floor. Take test shots at different White Balance settings. Custom White Balance is the best [blog on how to do that] Also the blog explains how to set presets as well. Nikon D3, Nikon 24-120mm ƒ/3.5-5.6, ISO 6400, ƒ/3.5, 1/125–Two off camera flashes on either side of the camera. Take photos other than going through the ring. Here I photographed them in the Quad of the Barracks. Good news is the afternoon before walking through the ring the seniors get their rings. Great time to practice in the same room they photos will be that night. Here my son helps with name pronunciation. Here is he is getting the ring. Good news is when they are standing in the ring and walking down the carpet there are more lights on them. 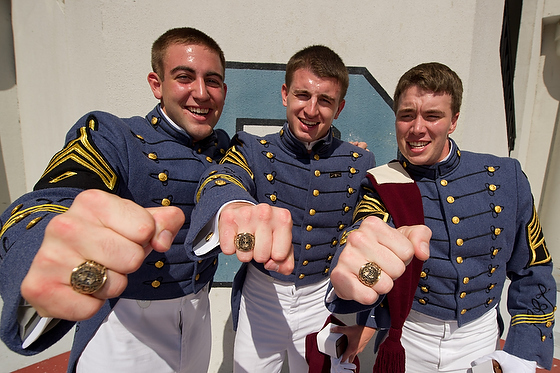 You will shoot a lot of these photos of your cadet holding the ring close to the camera. Be sure your aperture is pretty high. Here it is ƒ/8. This helps keep their ring and faces in focus. Nikon D3, Nikon 24-120mm ƒ/3.5-5.6, ISO 1000, ƒ/5.3, 1/60–Two off camera flashes on either side of the camera. If you son/daughter isn’t a senior this is a great time to practice a year or two earlier so that when your time comes you are seasoned. If you get great photos then you can share them with the other families. 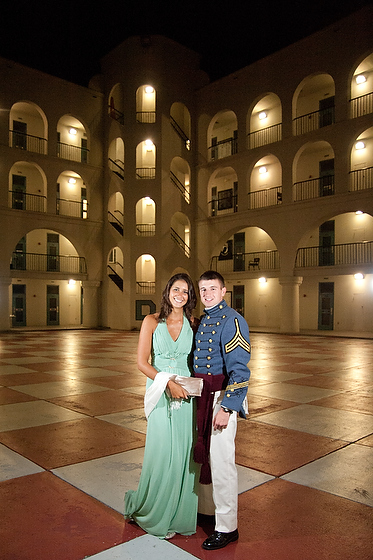 We are grateful to have all these photos to remember our son’s journey through The Citadel. T J Fischer, Bravo Company Commander, talks with some of his staff during a light moment when Knobs are checking in at The Citadel on the first day. From Wikipedia: Street photography is a type of documentary photography that features subjects in candid situations within public places such as streets, parks, beaches, malls, political conventions and other settings. 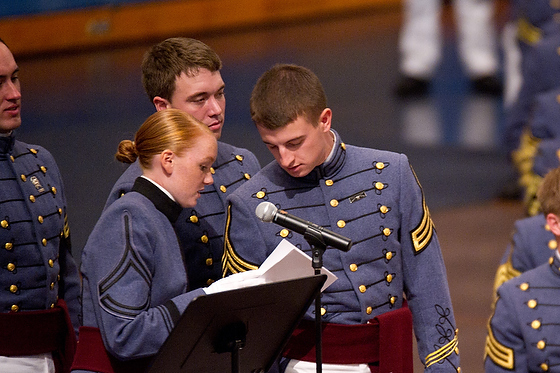 The “Red Sash” is what the Cadre wear at the Citadel. 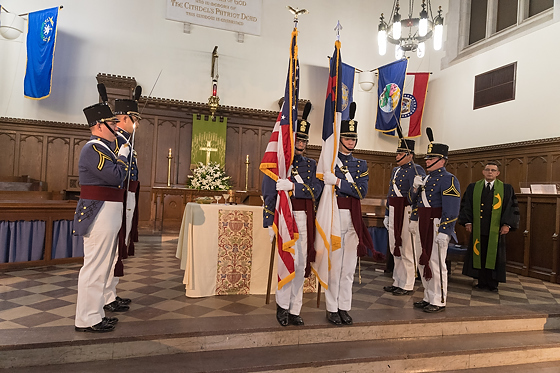 Cadre members are cadets who train the incoming fourth-class cadets and are considered to be in high standing academically and militarily. I love “Street Photography” because you are just capturing those moments when people are so caught up in doing life they forget about you. The best photos I find is when people are with their closest friends and family. One of the places I have enjoyed shooting the most has been The Citadel these past four years. Our son graduated in May, but we were vacationing nearby in Isle of Palms and went by for Matriculation Day. Dorie, my wife, enjoys volunteering. Alpha parents wait with their Knobs things as they check in with the Cadre. The light blue shirt is for those Citadel parents who are volunteering. Their cadets have already been through their Knob year. 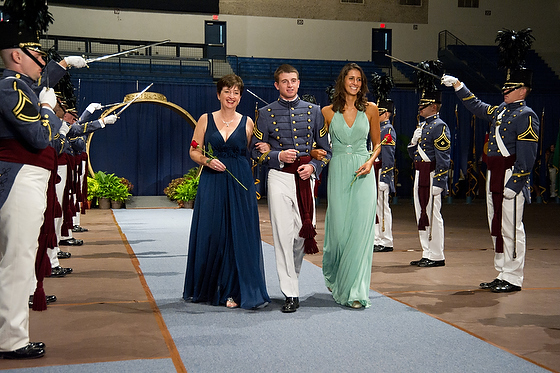 The volunteers are parents of current and former cadets at The Citadel. They remember so well dropping their sons and daughters off for that first time. 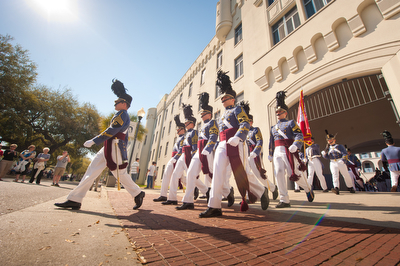 The Knobs, what the call the freshmen at The Citadel, will go through right away what they call “Hell Week.” As compared to the other service academies The Citadel “fourth class system” is longer than all the others. 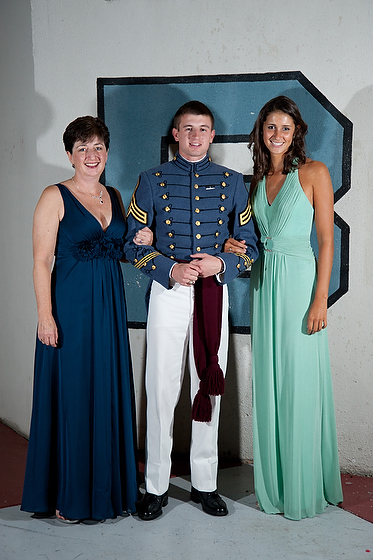 Sue Reigerix talks with her daughter Rachelle Reigerix, Athletic Cadre Commander, on Matriculation Day 2011 at The Citadel. Now with a graduate I can see much better with my 20/20 hindsight. I believe that the higher the commitment of anything a person does, the more involved their friends and family become with them in their endeavor. We are now into the next stage of being the family of a military officer. Already I am seeing how families all bond in ways that graduates that go into civilian life just don’t experience in the same way. Knob is checking in for the first time. I love seeing the eyes look around. He will soon learn to do this using peripheral vision. While street photography for me is fun the photos reveal more about folks than I ever thought possible. I think in these few photos you see a bit of life in just a few frames. My favorite thing is also sharing these moments with those in the photos. Remember to get these “Street Photography” images, you have to have your camera with you. The photo that got away is the time you don’t have your camera. These are some photos I made this past weekend at Corp Day at The Citadel. Which ones do you like and why? 1st Battalion marches out to the parade field. Summerall Guards 2012 make a slight breathing noise together to keep in cadence and so everyone is together. Summerall Guards 2012 closeup of the breathing technique for timing. 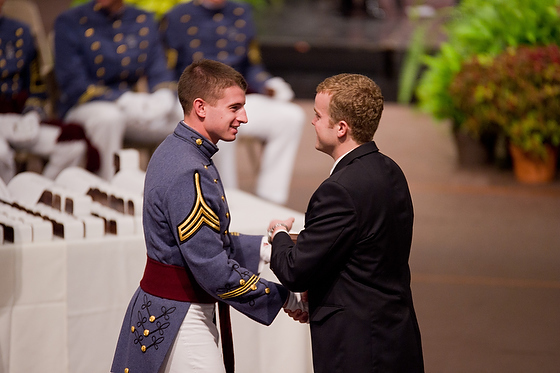 Summerall Guards 2011 last time together before handing over their rifles to the class of 2012. Summerall Guards 2011 last time performing. Summerall Guards 2011 take the field with all the alternates in position. I took the photo showing the alternates for Class of 2011. These guys seldom are photographed as compared to those marching. Timing is everything to show the precision. If their legs are all down not as impressive. Summerall Guards and BVA run together the night before the rifle exchange to the new guard. Bravo Company during parade review. Nelson Lalli checks the alignment of Bravo Company. I am reminded every time I photograph the cadets how important it is for each person to have a nice photo. After I post these to my facebook account I spend hours accepting the requests for tagging and friends. I try and make “portfolio” quality images, but find often just simple clean image of a cadet is really appreciated.